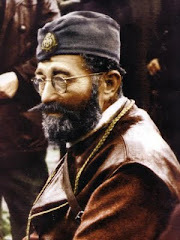 Croatia's Ante Pavelic, founder of Ustasha movement, was personally responsible for group's genocidal policies. 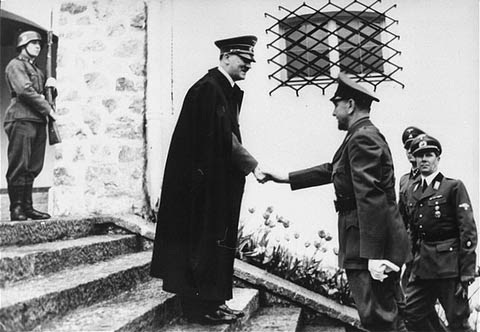 for a two-hour conference on June 6, 1941. Try and imagine the following scenario. This coming spring, on the seventieth anniversary of the death of Adolf Hitler, a memorial mass is held in the center of Berlin in the one of the city's most important churches, which by chance happens to be located several hundred meters from the offices of the Jewish Community, and is attended by thousands who come to pay their respects to the founder of the Third Reich. Obviously, such an event sounds absolutely impossible in today's Federal Republic for a variety of legal and other issues, not the least of which was Hitler's bad relations with organized Christianity. 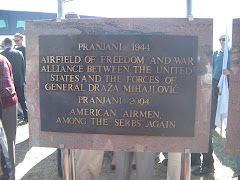 But its Croatian equivalent took place only two days ago in Zagreb, where several hundred people attended a memorial mass in memory of Ante Pavelic, the head of state of the Independent State of Croatia (NDH), established by the Germans and Italians after the occupation of Yugoslavia in April 1941, and one of the biggest mass murderers in the history of World War II. 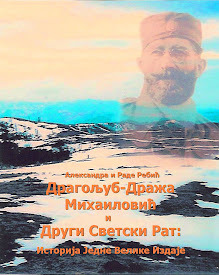 Pavelic was the founder of the Ustasha, a fascist movement he established in the late twenties, and which was installed as the ruling party in the satellite state created in 1941. 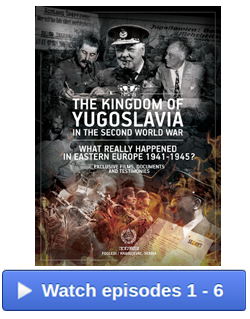 He was personally responsible for the genocidal policies implemented by the Ustasha throughout the area under their control, where hundreds of thousands of Serbs, Jews, and Roma were brutally murdered, mostly in concentration camps established throughout Croatian territory, the largest of which was Jasenovac, where at least 100,000 innocent victims were murdered and which was nicknamed "the Auschwitz of the Balkans." 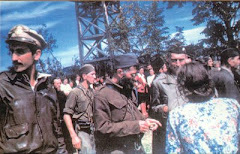 After the war, Pavelic was able to escape to Argentina via the infamous "ratlines," the escape network established by Austrian bishop Alois Hudal with the help of Croatian priest Krunoslav Draganovic, to assist Nazi war criminals to reach safe havens in South America and the Middle East. 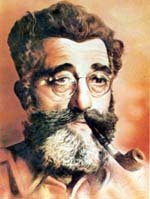 He was tracked down to Buenos Aires by Yugoslav intelligence and was wounded in an assassination attempt, the results of which he subsequently died from in Madrid two years later in 1959. 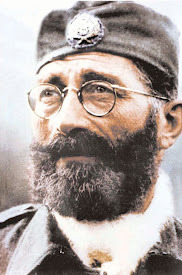 To this day, however, Pavelic remains a hero to many Croatians, which helps explain this past Sunday's memorial mass. 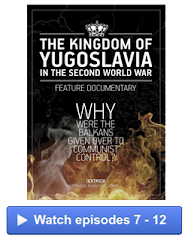 One would assume that almost a quarter of a century after Croatia became a democracy, and having been recently accepted as a full member in good standing of the European Union, that such adulation for one of World War II's biggest mass murderers would have been a thing of the past, but unfortunately a strong vestige of Ustasha nostalgia remains among part of Croatian society, and ceremonies like Sunday's mass are still celebrated with many in attendance. In that respect, the fact that two senior priests led the ceremony is also cause for concern. 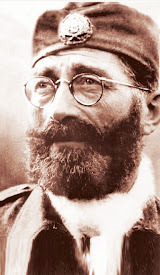 One of the them, the Dominican Vjekoslac Lasic is notorious for initiating this mass, as well as for his eulogy at the funeral of former Jasenovac commander Dinko Sakic, in which he noted that although Sakic did not observe all the Ten Commandments [Though shalt not commit murder, for example-E.Z. 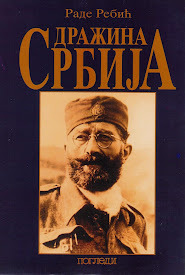 ], he still can serve as a model for Croatia. 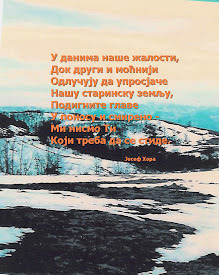 This type of preaching by clergy helps foster the Ustasha ideology of hatred for Croatia's supposed enemies, the Serbs, Jews, Roma, and anti-fascist Croatians, all of whom were victimized by Sakic and his fellow murderers at Jasenovac and the other less-famous Ustasha concentration camps. As of the writing of this op-ed, not a single Croatian political or religious leader or public figure has condemned Sunday's ceremony, which is another indication of the failure of the country's leadership to help eradicate the vestiges of fascism and intolerance. It might be possible to attribute their silence to the current presidential elections, the first round of which ended without a winner, but that is a very sad commentary on the state of affairs in a member country in good standing in the European Union. The time has come for Brussels to finally confront the resurgent fascism and ultranationalist sentiment, which rather than being eliminated once and for all by liberal European democracy, has actually been revived in post-Communist Eastern Europe.